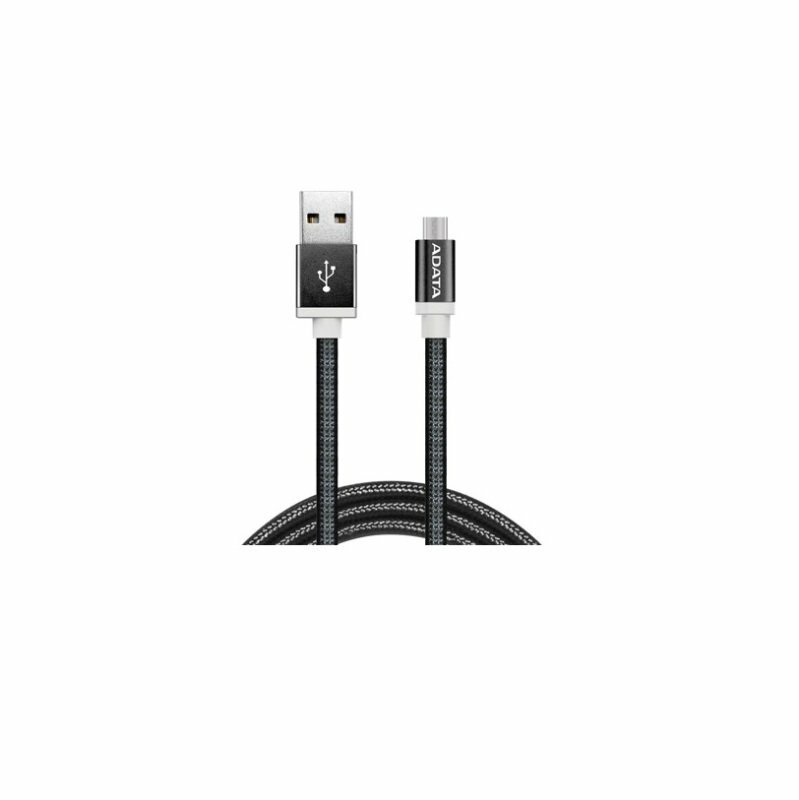 ADATA Micro USB Black 1M CableSorry, this product is currently out of stock. Reversible ease on Micro USB cables - perfect for Android and Windows devices! A standard Micro USB plug on one side and a reversible USB connector on the other mean connecting mobile devices to notebooks, desktops, and chargers is faster and simpler without stopping to figure out which side is up! Premium aluminium casings reduce EMI and multi-layered braided sleeves provide greater protection. Tough 2.4A-rated copper wires ensure fast charging and data transfer. Choose from 7 stylish colours and enjoy smarter USB! Make a fashion statement and choose your favourite from 7 distinct colours: deep black, blue, purple, red, gold, silver, and rose gold. It's your life, your style, and your choice.